Deaf people will be able to ‘hear’ in group conversations by using a revolutionary new wearable device. The gadget – half the size of an iPhone – beams in nanoseconds a transcript of conversations to a paired smartphone app. A deaf person then reads the conversation on the app in ‘phone message’ style, enabling them to keep up with conversations in real time. 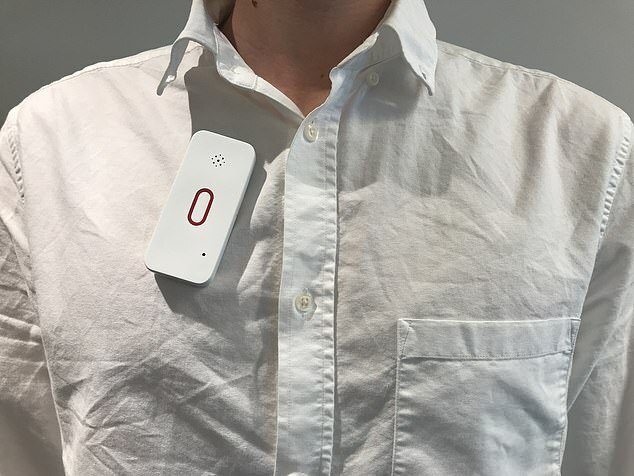 The device, called SpeakSee, has a built-in microphone and clips on to the collar of the person who is speaking. Several devices can be used together for group conversations. Studies show SpeakSee’s translations are 95 per cent accurate, across 120 languages. Dutch app developer Jari Hazelebach launched the device as a tribute to his deaf parents. He says: ‘The only difficulty I had was seeing how my parents weren’t able to follow some conversations. A pack of three costs £305.